There is absolutely no reason why gardening has to be an expensive project saved only for when the wallet is flush with cash. Gardening is a primal and basic activity that can be fun without breaking the bank. Get started this year with these fun, frugal gardening projects sure to inspire and provide abundance. 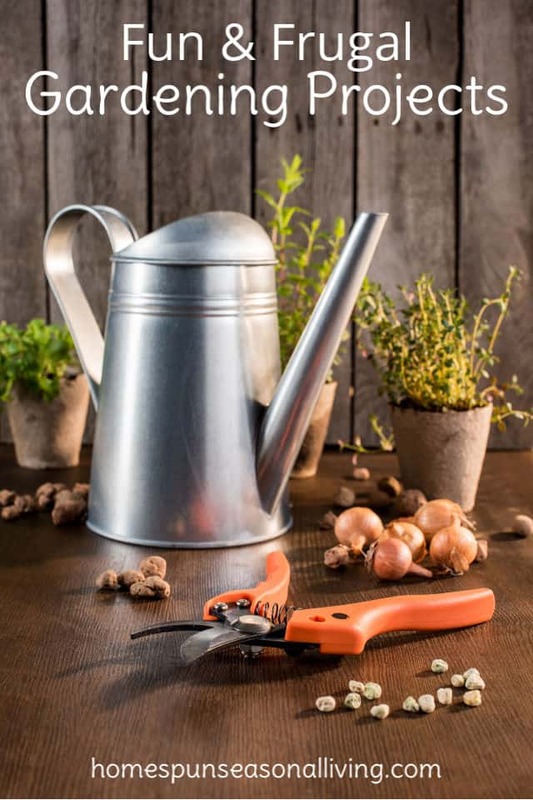 Grow an abundant garden that is fun and rewarding without breaking the bank with these frugal gardening projects sure to inspire every level of experience. Re-use single use canning lids (or lids from any jar for that matter) to mark plant rows and pots. 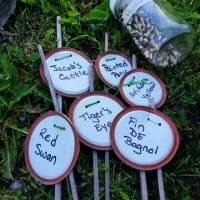 It's a great way to keep track of what's planted where and never be confused again by what color the tomato or pepper is supposed to be when ripe. 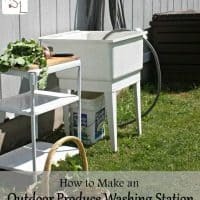 Keep the dirt of the garden outside, rather than in the kitchen, with a frugal produce washing station. This is a simple set-up that does the job and saves the back from washing veggies on the ground too. 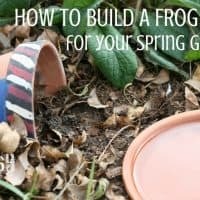 Welcome frogs to the garden and all their benefits by building them a simple habitat from items already likely around the home. 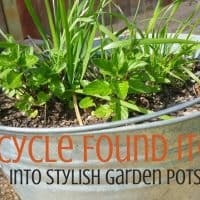 Because a gardener always wants more garden space and pots can be darn expensive - upcycle a wide variety of items that can be found cheaply (or even for free) into stylish containers. No need to buy or use expensive electric dehydrators for herbs and flowers. 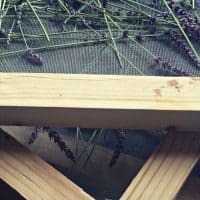 Make your own drying screen from commonly found supplies and keep those harvests around for future seasons. 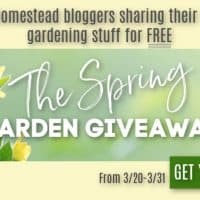 Get ebooks, printables, video tutorials and more from experienced gardeners to make your garden amazing - all free but for a limited time! Encourage bees and pollinators to your garden by giving them a place to get water. Hopefully they'll visit your plants on their journey too and increase the production of your garden. 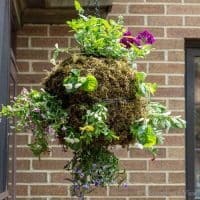 Big hanging planters from nurseries and garden supply stores are expensive. 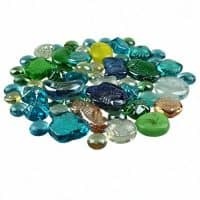 Make your own from frugal supplies and choose the flowers or edibles you like best. 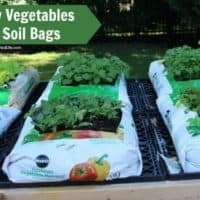 Grow vegetables directly in garden soil bags. This is a great idea for folks that can't plant directly into the ground or build raised beds for a wide variety of reasons (rental property or disability for example). It's definitely more frugal than buying some expensive plant stands while still providing for tasty harvests. 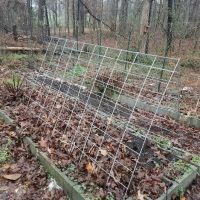 A trellis is handy for things like pole beans and peas, but it can also help make space in small garden by growing things like cucumbers and melons vertically. Make your own moveable trellis with this simple idea. 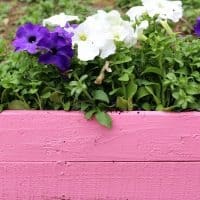 Pallets can often be found for free and will just a little skill can easily be turned into planter boxes. Do be careful to use ones that aren't pressure-treated for edible plants (the leaching of chemicals isn't healthy at all), otherwise keep an eye on those roadsides for pallets.